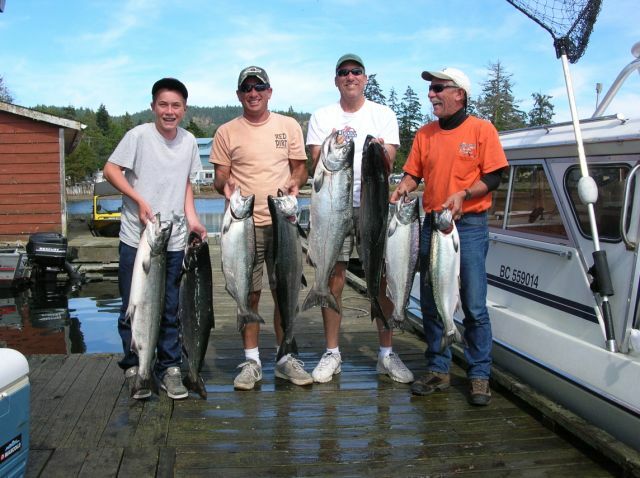 Sooke's fishing continues to be hit and miss..."here yesterday, gone today, back tomorrow?" You need a little bit of skill and a little bit of luck, to be at the right place at the right time. However, that's good enough for most, as you can see by the armada of boats out front of Sooke Harbour in the lake calm evenings this week. Such a nice evening the last two nights in a row....what a beautiful part of the world this is, when the weather cooperates. 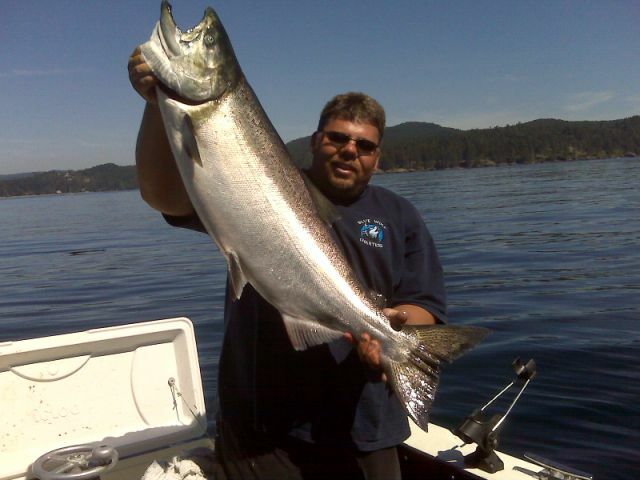 Roy from Blue Wolf Fishing Charters sent in a couple of nice photos. The first is a group of happy guests from San Francisco, returning with their limit of chinook salmon: a 26 pounder, 25, and lower 20s and a few in the teens. 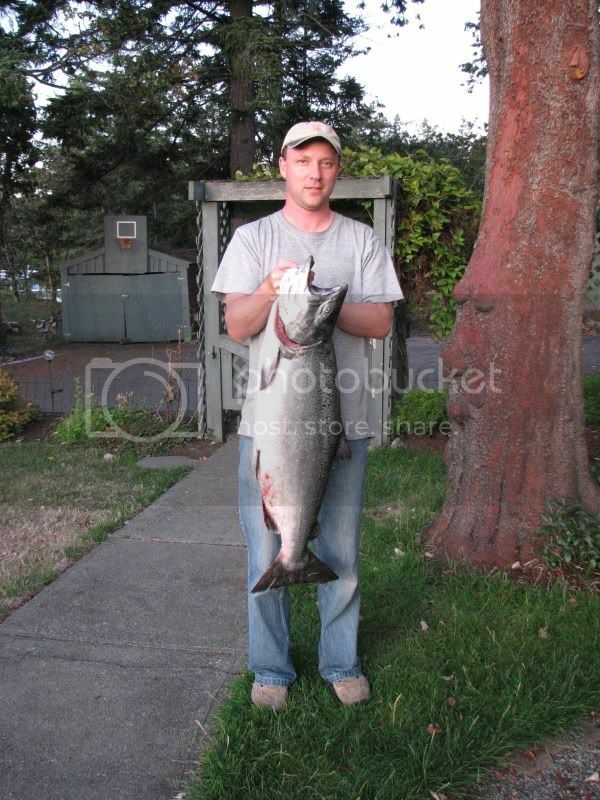 The second is Roy himself, fishing for fun with buddies in the afternoon, and actually getting to reel in a fish himself for a change -- a 37.5 pounder. That's when you know you're fishing with a real fisherman, after who knows how many hours on the water guiding fishing trips, what do they do on their day off? You guessed it, they go fishing! Nice fish Roy. Finally, here's Dave with his best yet Sooke salmon, a 28.5 pounder caught at the Trap Shack using a Betsy flasher and oki Juan De Fuca anchovie teaser head. Nice hog Dave!